Why You Shouldn’t Buy juice Boxes…or Juice! 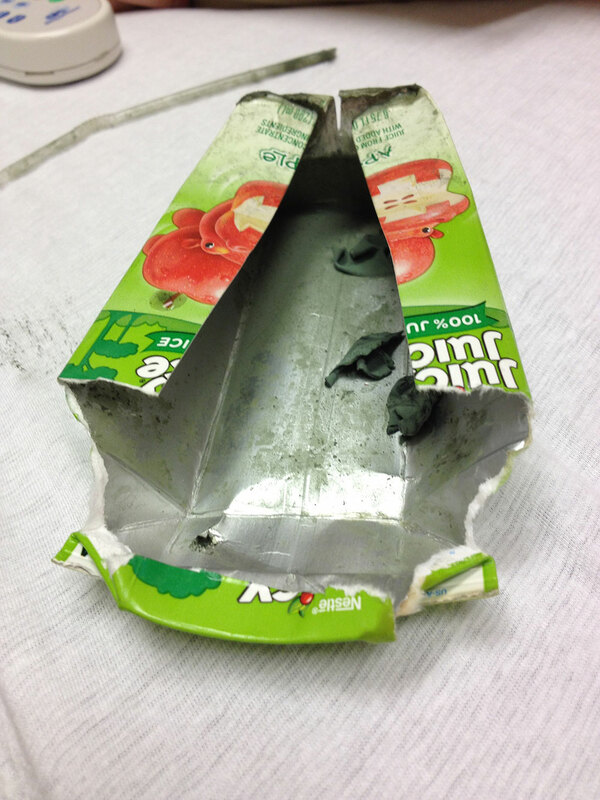 Her juice box was full of mold—green slime that lined the edges of the box. Apparently moldy juice boxes and juice pouches (such as those made by Capri Sun) are nothing new. If even a tiny bit of air gets into the container molds can grow. 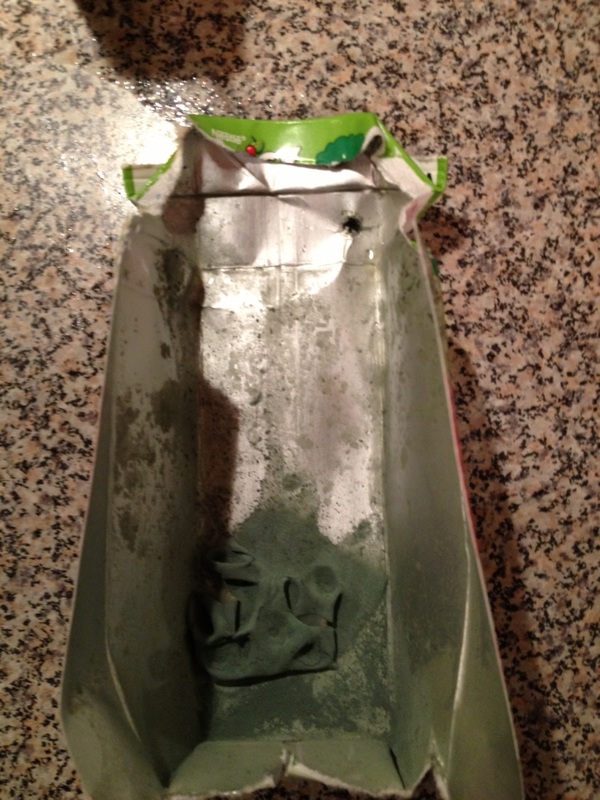 Air can get into a juice box through a hole that’s so small you can’t see it, and it doesn’t cause leaking. Such a tiny puncture also permits the sugars in the juice to ferment, turning the product into a form of alcohol. Juicy Juice and many other kid’s juice products are made without preservatives, permitting mold to grow even more easily. The good news for my patient is that moldy, fermented juice is usually not very dangerous to drink. An upset stomach and a totally grossed out mom are the most common complications. But I recommended she cut out the juice, anyway. Why? Because juice is so full of sugar and calories that some have called it a gateway drug. Sugar ingestion can actually cause release of natural opiates (really). Opiate release stimulates the desire for other sweets and junk food. High salt and high fat foods can also trigger release of pleasure-inducing opiates. This is why so many people binge on ice cream, potato chips, and other favorite junk foods like Flamin’ Hot Cheetos. The more sugar-laden juice your kids drink, the more opiates flood their system, and the more they will beg for another juice box. After drinking all those calories and stimulating their sweet tooth, chances are your kids won’t be interested in dinner. Some high sugar, high fat, high salt food might sound good, though. Sound familiar? Too much fruit juice can also cause tooth decay, diarrhea, and flatulence. There are plenty of other healthy foods that contain the vitamins your kids need, and without the high sugar and calories. Kids just don’t need juice. The American Academy of Pediatrics offers this guidance regarding kids and fruit juice. Juice should not be introduced into the diet of infants before 6 months of age, unless directed by your physician. Occasionally small amounts of fruit juice may be recommended as a treatment for constipation. In children ages 6 months -6 years, fruit juice offers no nutritional benefit over whole fruit. Whole fruits also provide fiber and other nutrients. If you do let your kids drink fruit juice, do not allow your child to carry a sippy cup, bottle or box of juice throughout the day. Intake of fruit juice should be limited to 4 to 6 oz/d for children 1 to 6 years old. For children 7 to 18 years old, juice intake should be limited to 8 to 12 oz or 2 servings per day. Never serve your kids unpasteurized juice. These recommendations are for 100% fruit juice, which differs from juice drinks. Fruit drinks often provide little to no nutritional benefit. OK, I admit it, I’ve bought juice boxes for birthday parties and soccer games. They are convenient, they keep kids happy, and they’re probably healthier than soda. But you just can’t tell from looking at a juice box if it is moldy—you won’t know until you start drinking, and sometimes you won’t know until you get to the bottom… So as for my family, we’re going back to the cooler of ice water for soccer games. If the kids complain, we’ll hand out good snacks. Sincere thanks to the patient and her mother who permitted the photography of their juice box and gave permission for the publication of this story. This paragraph gives clear idea in support of the new people of blogging, that actually how to do running a blog.